It was kept secret from the public in part because it was designed to prep the Navy for potential lawsuits in the aftermath of the accident. The nomination has been forwarded to Congress. “Lt. Combs was not responsible for setting an operational tempo that undercut staffing and training, that allowed for the ship to move with 'degraded’ radar and that put sailors at extreme risk,” he said in a statement emailed to Navy Times. Prosecutors say that any damage to their court-martial case against a lieutenant can be mitigated later by a military judge. A secret Navy report details broken sensors that were reported for repairs but never fixed; schedule changes ordered by superiors high above the Fitz’s command triad that delayed crucial maintenance; taped-up radar controls and, worse, sailors who had no idea how to use the technology. 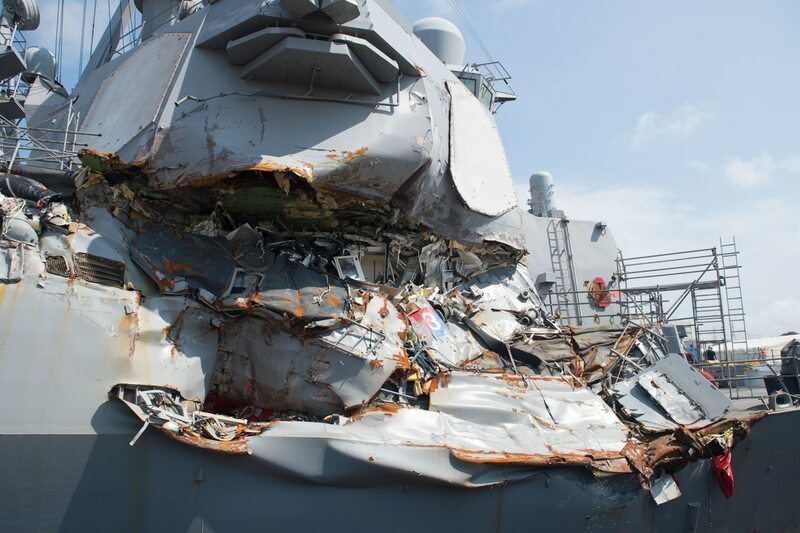 The crew of the Fitzgerald endured a bruising operational tempo in the months leading up to the fatal collision that left little time for training. But despite all that, they saved their ship and got her back home.